Free cross-platform media player without installation. If you drag'n drop a file on (or open with) VLCPortable: it will be opened in VLC. Settings of installed VLC should be preserved. I only post my portables but you can modify your comment with an explicit link or ask to PortableApps.com. Descarga e instala todos los idiomas menos el español. Falta el archivo vlc.mo a la carpeta "ES" (Español).Alguna solucion gracias. You are right: there was an error in script of installer. Ahora si, muchas gracias Bernat por la solucion y por los programas portables. Me gustaria mucho un portable del programa PhotoScape 3.6.5, que es excelente y gratis. Hello is there a way to set only one instance for VLC? I couldn't find any setting to disable multiple instances. If you have AllowMultipleInstances=false (default) in VLCPortable.ini you can launch only once VLC. I re-downloaded the installer and found the option. Another issue: I'm opening a stream url via command line and I would like to change the stream with a second command line as well. If I use the VLCPortable.exe I get the alert message. If I use the \App\VLCwin32\vlc.exe then I get a second VLC instance opened. Is there a way to be able to pass a parameter to the first instance of VLC via the VLCPortable.exe instead of getting the "Another VLC is running" alert? PS Is there any source code available to try to modify the VLCPortable.exe myself eventually? Just saw the source code and I'm afraid it won't be easy at all :-( Any suggestion would be greatly appreciated. I think you can't pass 2 command line to the same instance but you can pass several parameters (separated with space) in the same command line. Is it possible to add VLC to Context menu (Shell integration)? No, would be no more portable. How can i convert a Vlc media player's offline installer(.exe) file to portable version using this file. 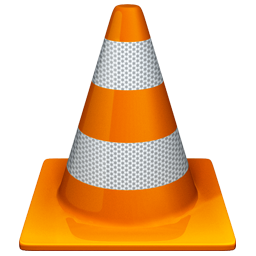 If vlc-3.0.2-win32.7z and/or vlc-3.0.2-win64.7z is found in online installer folder, it will be use and not downloaded again. I selected x64 but in the later part of the dialogue, it is no longer English. Is it possible to update the installer to v.3x and in English? Rename installer if you want. You are right, can't run several instance. I never run several instance of a player, and have no more time to spend: sorry. Updated (you can extract only launcher from installer with 7-Zip and replace).